Australian engineers have called for Airbus A380 super-jumbo (the world’s biggest passenger aircraft) to be grounded, after Singapore Airlines and Qantas found cracks in the wings of their aircrafts. Singapore Airlines, Qantas and Airbus, admitted that they had discovered cracks, but maintained that the aircraft were safe. In total, 67 Airbus A380s are in use worldwide, on seven airlines: Qantas, Singapore Airlines, Emirates, Air France, Lufthansa, Korean Airlines and China Southern. “We confirm that cracks were found on non-critical wing attachments on a limited number of A380s,” an Airbus spokesperson said today. Singapore Airlines, the world’s second-biggest carrier, operates fourteen A380s already and has 5 on order, while Qantas has taken delivery of ten of its order of twenty A380 aircraft. The A380 has been in service for five years. It seats 525 passengers in a typical three-class arrangement. In total, 238 of the aircraft have been ordered by 17 airlines worldwide. The planes are assembled in Toulouse, but parts are built across Europe, with the wings being built in Broughton, Wales. Singapore Airlines (SIA) and Qantas Airways said on Friday they discovered cracks on the wing ribs of their Airbus A380s, but said the cracks pose no threat to safety and repairs have been carried out. The remarks came after Airbus said on Thursday that engineers discovered minor cracks in the wings of a “limited number” of A380s, but said the cracks were not affecting the safety of the aircraft. “Cracks were found on a small number of wing rib feet on an Airbus A380 during inspections in the second half of last year. These pose no safety issue and repairs were carried out on the aircraft,” SIA’s spokesman Nicholas Ionides said in an email. “Repairs were subsequently carried out on a second aircraft. We have kept the relevant regulatory authorities fully informed and will be carrying out inspections and any necessary repairs on other A380s as they go in for routine checks,” he added. 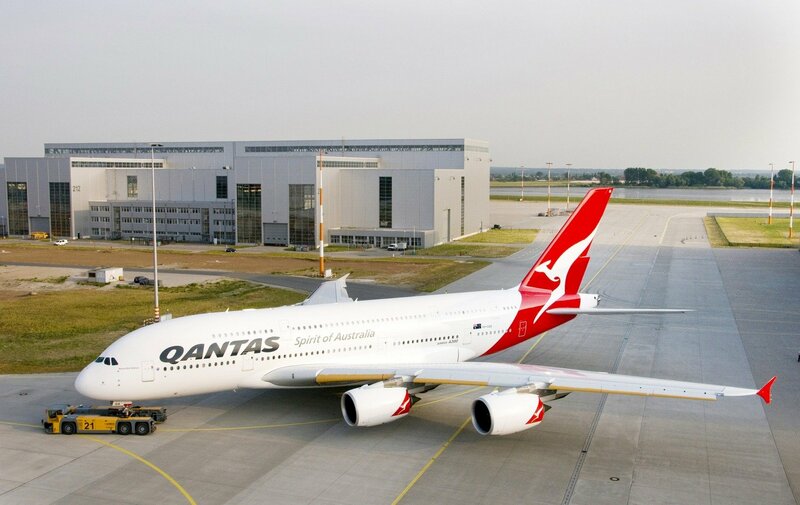 Qantas said that “minuscule cracking” was found in the wing ribs of the Qantas A380 being repaired in Singapore after one of its Rolls-Royce Trent 900 engines suffered a mid-air blowout in 2010. “Investigations have found that the cracking is unrelated to the engine failure incident experienced by this aircraft in November 2010 and is not unique to Qantas. It has now been repaired,” Qantas said in a statement. “No immediate action is required by A380 operators because the cracking presents no risk whatsoever to flight safety,” Qantas said. Airbus said it has traced the origin of the problem and developed an inspection and repair procedure that will be done during routine, scheduled four-year maintenance checks. Both Singapore Airlines and Qantas are using Rolls-Royce Trent 900 engines on their A380 fleets.